Battblush: Watch out! A cranky lady resides here. Watch out! A cranky lady resides here. Well, you know that's not really me. When it comes to angst, I tend to turn my grumbling on myself rather than others. I am, however, a person who admires a cantankerous nature in others, especially if it's the sort of nature that is directed towards not only Getting Things Done, but also Getting Things Changed. As a woman who went though her formative years in the 70s and 80s, I've witnessed a lot of change, particularly in the areas pertaining to women. Oh, there's still along way to go, but I really do believe that my generation was the first to be taught "You can be anything you want in life" and actually believe they meant anything, not just secretary, teacher, nurse etc. When I was a Mum-deprived child in my pre- to mid-teens, the person who had the most positive impact on my developing psyche was my Dad's best friend Maureen Smith. Maureen was a woman in her early 30s, happily married to the love of her life, Doug, and raising two sons, Glenn and Neil. She wore a classic 70s poodle-perm and worked as a crossing guard to bring in a little extra money. She saw Dad dropping my brother off at Kindy in the early days of the separation and asked if Mum was okay. Dad told her Mum was gone and Maureen immediately offered to help. Within days she was at our house and organising to look after us while Dad sorted himself out. Maureen was not a Cranky Lady. Far from it. She was gentle, kind and full of love for those around her. She was, to me, the embodiment of grace and gentility. She was, in short, a real lady. She was, also, extremely determined to help me grow up with some sort of feminine ideal. She took me as a proxy daughter and taught me all she thought I needed to know in order to be a strong woman of the future. My family life was pretty bad but Maureen was constantly telling me that I was wonderful, that I was loved, that I was smart and fantastic and the best. She approved of everything I did and never made me feel bad about myself. I worshipped Maureen, so when she said "You can be anything you want when you grow up" I knew what I wanted to be; I wanted to be just like her. And I am. To make a fruit cake from All-Bran. To dress nicely for my husband once a week in anticipation of his return from work. Yes, a lot of women would feel some of these go against feminist principles (particularly the last one), but I really do find they suit me. I am a maternal woman and family is important to me. But, I have also faced a lot of adversity and difficulty in my life and, thanks to Maureen, I've come out of them with a strong sense of my own self-worth. Nothing has defeated me and I like the woman I've turned out to be. I wouldn't be the me you yourself call friend, lover or mother without Maureen Smith. 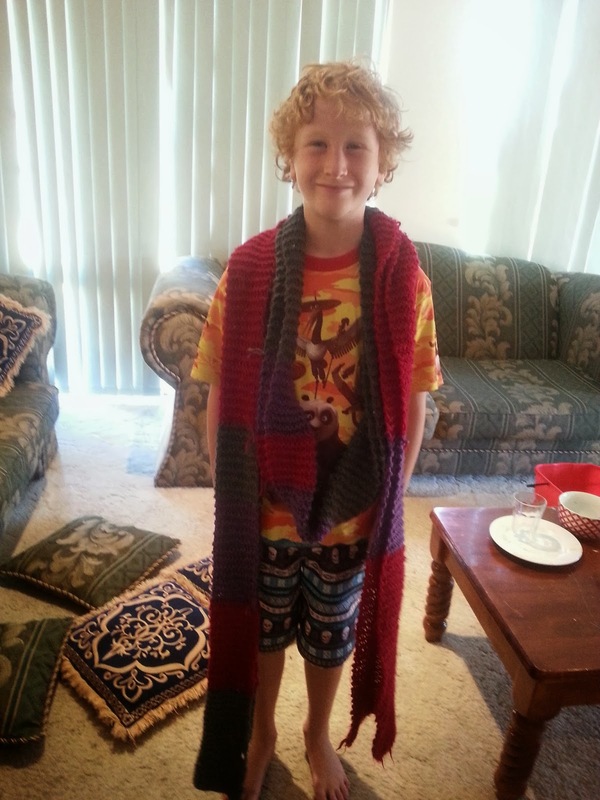 Thanks to Maureen, I can knit Tom Baker-esque scarves for my son. And ignore the cushions lying on the floor. Now, as a middle-aged woman of the 21st century, I find myself looking beyond family happiness and focussing on what the rest of the world is up to. All too often I watch in despair as I see us do terrible things to each other. I witness my own country commit crimes in the name of "Good Government" and I feel powerless to do anything but share my anger via Facebook. Yes, I'm a slacktivist. But what can I do? Which is why I wanted to use this stop on the Cranky Ladies of History tour to discuss my favourite hero, Beate Klarsfeld. The 70s were a time of growing awareness for me. At some point I learned the truth of my heritage. Joe Dineley (Dinely?) my biological father was Irish. Okay, I thought. There's a certain coolness to this, as long as he's not IRA. My biological maternal Grandfather, Rudi (Rudy?) Sander was, however, a German immigrant, who came to Australia some time in the 40s. Also, towards the end of the 70s I became aware of the work of a man named Simon Wiesenthal. Wiesenthal's crusade to bring Nazis to justice made me aware of the atrocities of WWII and for the first time I came to understand the real horror that lay beyond the hi-jinx of Hogan's Heroes. People, I realised, had died during this time. Millions and millions of people. Later I would come to understand that it wasn't just the 6 million Jews, but also another 5-6 million non-Jews such as gypsies, homosexuals, intellectuals and yes, even my own Jehovah's Witnesses (called Bibelforscher in Germany). I was so embarrassed by this knowledge and the knowledge that I was, in part, German. However, I had no way of doing anything positive with it. So, I let it go. Anyway, back to Wiesenthal. Simon Wiesenthal became, for me, the face of Nazi Hunting, but it was still an impersonal face. He was, after all, a Jewish man who had personally been exposed to the Holocaust. His cause was just that, his cause and the cause of those who suffered as he had suffered. I could see and appreciate what he did, but really it meant nothing to me. Three years ago Lee and I were settling in for another night on the couch in front of the History Channel. The show we'd chosen to watch was one about Nazi Hunters and I was pretty certain the focus would be on Simon Wiesenthal. I was wrong. The first episode we saw was called The Monster and The Butcher. The story of Klaus Barbie (The Butcher of Lyon) was told and for the first time I heard her name: Beate Klarsfeld. Beate Klarsfeld (nee Kunzel) was not born into a Jewish family. Quite the opposite, actually. 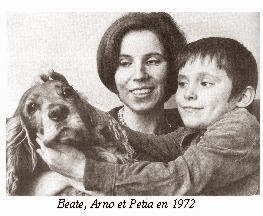 Born in Germany in 1939, Beate was the daughter of a Wehrmacht soldier. Whilst her formative years were spent in relative ignorance of all that had gone on in her country, this changed when she moved to France to work as an au pair. One day, in 1960, she was standing at the Metro platform waiting for a train when a young man introduced himself as Serge Klarsfeld. 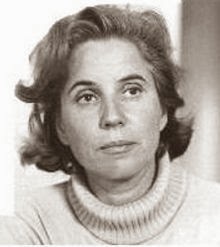 A French Jew, Klarsfeld had been personally affected by the Nazi regime when his father had been rounded up and taken from the family in 1943. He never returned. It didn't take long for Beate and Serge to become involved and, in 1963, they married and started their family. Now most women, myself included, would have thought "How terrible. I wish I could do something, but I have a husband to look after and a baby to raise and really, it's all in the past. What can I possibly do?" Not Beate. 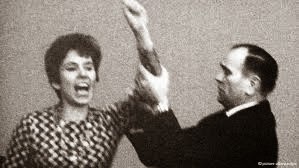 In 1966 Beate began campaigning against the West German Chancellor Kurt Kiesenger for his work within the Nazi propaganda department and as a result lost her job. Now this, to me, is pretty amazing in and of itself and again, I think I would have been somewhat impressed with myself for this achievement had it been mine. I mean, apart from saying a few damning remarks on Facebook or Twitter, how many of us have actively led campaigns against an official in power? And, who would dare do so in a country that had an international reputation for dealing with those who spoke against authority? In 1968, a year before I was born, Beate Klarsfeld took activism into her own hands, literally. Disguised as a reporter, Klarsfeld managed to confront Kiesenger during a conference, denounce him as a Nazi and slap his face. Yes, she was arrested and convicted to a year's imprisonment (reduced to 4 months), but this act of heroism had its effect. The following year, following denouncement after denouncement by Klarsfeld, Kiesenger was soundly defeated at the polls. Klarsfeld, being arrested after the slap. At this point I'm thinking "Well, glass of champagne for me and a good lie down before returning to the bosom of my family." Uh uh. Not our Beate. She's already got her next target in her sights. I could go on and on about all that she attempts and achieves (along with a few failures) after this, but I'm going to cut to the chase. Growing up in Australia during the 70s and 80s, there were some Nazi names that equated to the Boogie Man for me. Hitler (obviously), Mengele and Eichmann were, in my young and impressionable mind, the most evil of men. They were the reason people hated all Germans. Klaus Barbie was a relative unknown to me, at least until that Nazi Hunters episode. Known as the Butcher of Lyon, Barbie was a Gestapo officer placed in the French town of Lyon. Here he carried out acts of torture and barbarism against the citizens and was personally responsible for the deaths of 14,000 people including the 44 Jewish orphans he sent to Auschwitz. After the war, a US intelligence service found him and offered him a position as an anti-communist agent. Once this became known he was moved to Bolivia. Tried and condemned as a war criminal in his absence, Klarsfeld turned her attention upon Barbie and began a campaign to have him extradited to France for trial. It took 12 years and her own arrest in Bolivia, but eventually Barbie was extradited and faced his accusers. Finally, in 1987 he was found guilty and imprisoned for his crimes. He died in his prison in Lyon, the scene of his worst crimes against humanity. Today, Klarsfeld is alive, well and just as vocal as ever. She is hated within Germany and seen as a traitor to her country, but I see her as a hero to humanity. As a woman in her mid-life, I am inspired by Beate Klarsfeld and all she achieved. The example she and her husband Serge set is nothing short of outstanding. 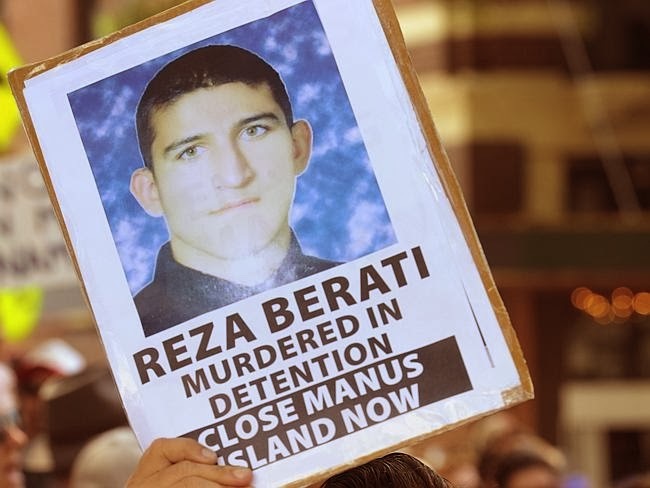 At a time when I find it hard to deal with family, my son's illness, my writing career and university, I look to her and think "She had a family AND caught Nazis. Who am I to say it's all too hard?" So, there we have it, two of the women in my physical and intellectual life whom I love and wish I could be like. We all have them, we all take a piece of them into ourselves. Now, let's celebrate these Cranky Ladies of History.